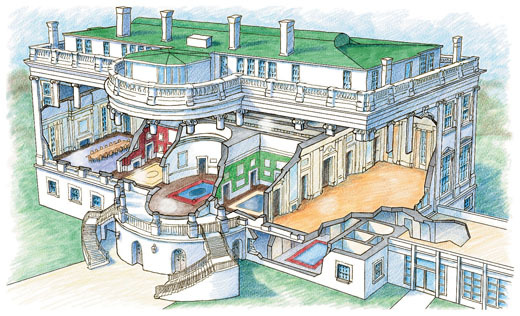 Randal was asked to develop this cutaway view of The White House in Washington, D.C. for an educational textbook. He worked from reference materials provided by the publisher and made updates and corrections in the process. The artwork was done using Fractal Painter software on an Apple Macintosh computer using a Wacom tablet. It was delivered to the client electronically as a digital illustration file.